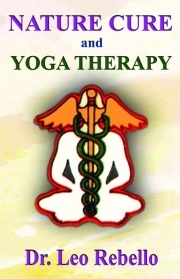 Description of "Nature Cure and Yoga Therapy"
NATURE CURE & YOGA THERAPY contains treatment of major diseases like Asthma, Diabetes, Liver and Kidney Ailments, Heart Disorders, Hypertension, Obesity, Piles, Rheumatism, Tuberculosis, etc. Do you know that you can remove your Gall Bladder Stones or Kidney Stones non-surgically? You can Flush your Liver? The treatment plans are explained in detail. A life saving chapter contains First Aid in 20 Emergencies including dog, scorpion and snake bites. Diet chapter introduces you to concepts like constipating, laxative, junk and perfect food and food by zodiac signs. There are chapters on Colour Cure, Fasting, Hydrotherapy, Massage, Magnets, Wheat Grass, Nature Cure and Yoga Therapy. In Homeo Remedies, one gets to know about Homeopathic Vaccines. Natural Eyesight without Glasses gives fascinating and comprehensive information, which even eye specialists will find useful. This book containing 25 chapters is as good as reading 25 books because it contains wisdom of centuries. DR. LEO REBELLO, ND, Ph.D., MD (TNM), D.Sc., FFHom, DHS, MBA, D.Litt, LL.D., has trained and treated over a million people in 65 countries, written 45 books, since 1978. This is the 4th Revised Edition of this popular book, which has also been published in Turkish language. Prof. Rebello guides doctoral and post doctoral students. He is also the President of AIDS Alternativa; President of Indian Council of Natural Medicine and Research; Permanent Fellow of European Medical Association; Vice President of International League of Doctors Against Vivisection, Italy; Permanent Fellow and Adviser of the British Guild of Drugless Practitioners; and Fellow of Indian Nature Cure Practitioners Association. He is also on the Editorial Board of International Teacher, Denmark; Board Member of Registry of World Citizens, Paris; World Peace Envoy of International Association of Educators for World Peace, USA; Goodwill Ambassador of St. Stanislas Order, Poland and Senator-Minister for Asia of the International Parliament for Safety and Peace, Italy. This No.1 Holistic Healer and Father of Health Freedom Movement is also the Holistic Development Expert. He wants to create a better world for all to live in health, safety and peace. Dr. Rebello's ambition in life is to become the People’s President of India by 2017, to create a New Life, a New India and a New World - in which we can fly free and live as a World Family. Reviews of "Nature Cure and Yoga Therapy"